Best known as the author of the Harry Potter fantasy series, the British novelist Joanne “Jo” Rowling, OBE, (J. K. Rowling)was born 31 July 1965.The Harry Potter books have gained worldwide attention, won multiple awards, sold more than 400 million copies to become the best-selling book series in history and been the basis for a popular series of films, in which Rowling had overall approval on the scripts as well as maintaining creative control by serving as a producer on the final instalment. Rowling conceived the idea for the series on a train trip from Manchester to London in 1990.n 1995, Rowling finished her manuscript for Harry Potter and the Philosopher’s Stone on an old manual typewriter. Upon the enthusiastic response of Bryony Evens, a reader who had been asked to review the book’s first three chapters. Then In June 1997 Bloomsbury, a small Publishing house in London, published Philosopher’s Stone with an initial print run of 1,000 copies, 500 of which were distributed to libraries. In early 1998, an auction was held in the United States for the rights to publish the novel, and was won by Scholastic Inc for $1. Five months later, the book won its first award, a Nestlé Smarties Book Prize. In February, the novel won the prestigious British Book Award for Children’s Book of the Year, and later, the Children’s Book Award. 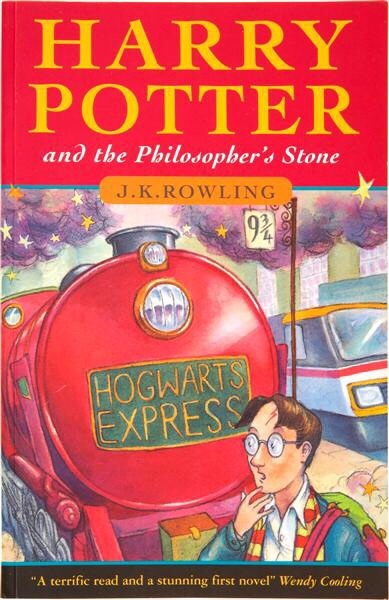 In October 1998, Scholastic published Philosopher’s Stone in the US under the title of Harry Potter and the Sorcerer’s Stone: a change Rowling claims she now regrets and would have fought if she had been in a better position at the time. 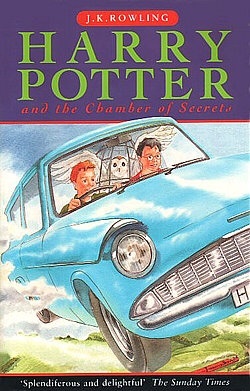 Its sequel, Harry Potter and the Chamber of Secrets, was published in July 1998 and again Rowling won the Smarties Prize.In December 1999, the third novel, Harry Potter and the Prisoner of Azkaban, won the Smarties Prize, making Rowling the first person to win the award three times running. She later withdrew the fourth Harry Potter novel from contention to allow other books a fair chance. In January 2000, Prisoner of Azkaban won the inaugural Whitbread Children’s Book of the Year award, though it lost the Book of the Year prize to Seamus Heaney’s translation of Beowulf.The fourth book, Harry Potter and the Goblet of Fire, was released simultaneously in the UK and the U.S. on 8 July 2000, and broke sales records in both countries, almost equalling the number Prisoner of Azkaban sold during its first year and Rowling was named author of the year in the 2000 British Book Awards.the fifth Harry Potter novel, Harry Potter and the Order of the Phoenix was released three years later and The sixth book, Harry Potter and the Half-Blood Prince, was released on 16 July 2005. It too broke all sales records, selling nine million copies in its first 24 hours of release, and In 2006, Half-Blood Prince received the Book of the Year prize at the British Book Awards. The seventh and final Harry Potter book is Harry Potter and the Deathly Hallows was released on 21 July 2007 and broke its predecessor’s record as the fastest-selling book of all time and sold 11 million copies in the first day of release in the United Kingdom and United States. J.K Rowling’s latest book Fabulous beasts and where to find Them has also been turned into a film starring Eddie Redmayme as Newt Scarmander and a script for the stage play Harry Potter and the Cursed Child is due for release soon. The last four Harry Potter books have consecutively set records as the fastest-selling books in history.The series, totalling 4,195 pages, has been translated, in whole or in part, into 65 languages and have also gained recognition for sparking an interest in reading among the young at a time when children were thought to be abandoning books for computers and television, Time magazine also named her as a runner-up for its 2007 Person of the Year, noting the social, moral, and political inspiration she has given her fans. In October 2010, J. K. Rowling was named ‘Most Influential Woman in Britain’ by leading magazine editors. She has become a notable philanthropist, supporting such charities as Comic Relief, One Parent Families, Multiple Sclerosis Society of Great Britain, and Lumos (formerly the Children’s High Level Group). 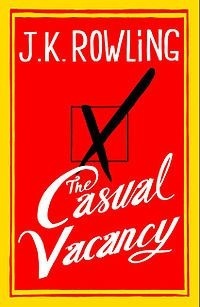 In 2012, Rowling’s novel The Casual Vacancy was published and it was recently revealed that the novel The Cookoo’s Calling, written by Robert Galbraith and featuring the exciting adventures of Private Investigator Cormoron Strike, shared certain similarities with J.K Rowling novels leading to all kinds of speculation. The Cookoo’s Calling was followed by the novels The Silkworm and Career of Evil.